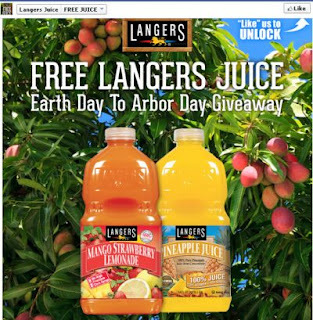 Free 64oz bottle of Langers Juice. They are giving away 200 per day. They will be doing this giveaway all week at different times. only 200 coupons will be given away, each day. Click the link below to go "like" them on Facebook to get a free bottle of juice.